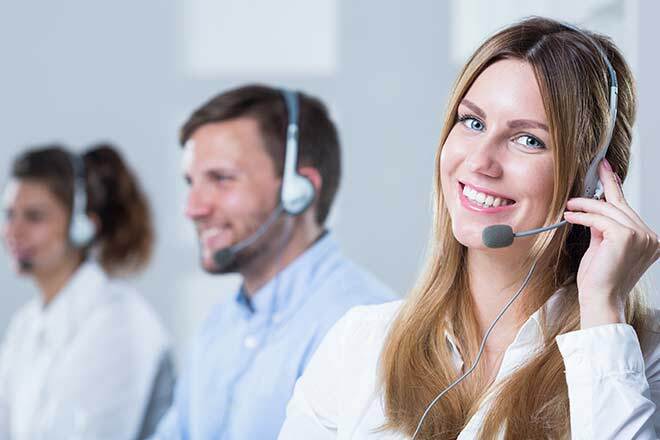 Your call center would be nothing without the hardworking staff that makes it work. The best way to create a great staff is by starting from the beginning. Hiring great agents will ensure that you have less turnover and better results from very start, reducing training costs and speeding up profitability. The longer you must wait for each agent to become a profitable member of your team, the more money you’re spending to keep your center functioning at maximum capacity. Keep things humming along by hiring great employees and getting them up to speed quickly; you’ll love the benefits! Waste less time. Prescreen your candidates using a preliminary checklist or screening software to help you cut down on wasted interview time and resources. Role-play. More than just a fun and interactive way of getting management more involved in the hiring process, role-playing activities help engage potential hires in scenarios that help determine their ability to interact with consumers, think on their feet, and handle situations that they might encounter in a typical workday. Offer self-serve training opportunities for applicants to prepare for the interview process. This takes some of the burden from your shoulders in terms of ensuring your applicants are qualified and allows you to identify motivated, enthusiastic potential employees right from the start. The fewer resources you have to spend on repeatedly hiring new candidates, the more your company can put toward improving the techniques your current staff members are using, So, once you have great staff members on hand, be sure to focus on offering those employees great retention bonuses to keep them there. The way you do things is just as important as the people you employ to do things. Your company’s approach should always be one that puts the consumer first, while balancing the concepts of productivity and efficiency. Focus on keeping calls as short and to-the-point as possible, while also addressing concerns, answering questions, and reassuring consumers that their complaints or comments are being heard and understood along the way. It is important for your staff to understaff the difference between customer service and customer experience. While providing great customer service simply means meeting your customer’s needs and doing so with a great attitude and pleasant demeanor, customer experience is much more than that. Customer experience is the overall emotional journey your consumer takes, from the moment they first consumer or interact with your product or service until their concern or question is answered or resolved by your contact center agent. So much can happen during that period, and it is up to your call center agents to make sure that the experience is a positive one! Training your agents to create great experiences for your consumers is the most important part of ensuring that these experiences happen. No matter how great your staff is and how much natural talent they have when it comes to customer service, no one knows how to do their job without at least a little bit of guidance. Offer your staff the training they need to succeed and continue to offer them ongoing enrichment and growth opportunities to make your staff better and more unified all the time. Better hold and wait time solutions, such as callback features, informed wait times, etc. 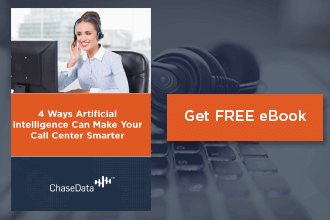 Wondering How to Improve Call Center Quality in Every Area? Do It All with ChaseData! From hiring the right people and training them properly to having the right technology in place to get everything done in a day that needs to be accomplished, ChaseData has everything your contact center needs to create the kind of experiences your consumers want. 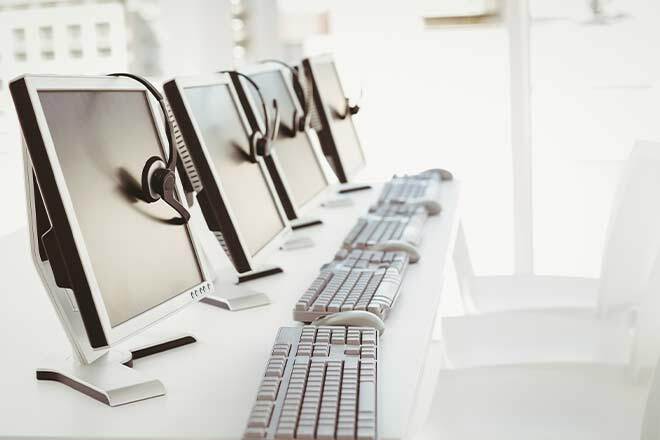 We make it easy to find every part of the solutions you need and the answer to ‘how to improve call center quality’ and easy one to find. Give us a call today and find out just how simple it can be to overhaul the way you meet your consumers’ needs and give them the kind of experiences that will make them happy to give you a call next time they need you!